Classically styled this three seater sofa is a perfect inclusion for the most traditional looking homes. Made up of wood, foam, metal, this sofa is draped with gray toned Vinyl like fabric which is very unique in the finish. 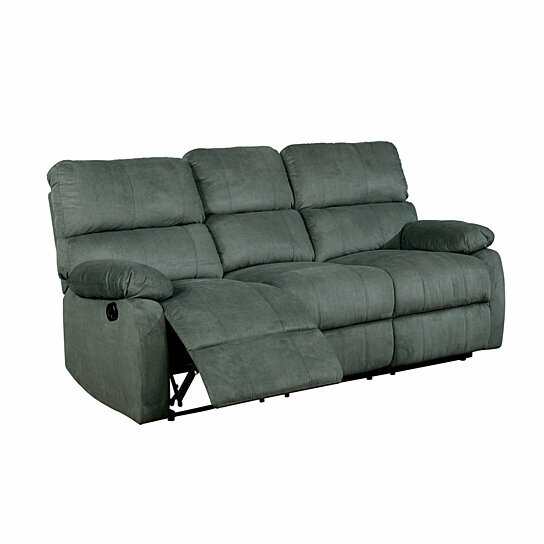 This recliner sofa dramatic design also features slit back cushion and over padded hand rest design. Also featuring a reclining mechanism, its side pull out lever allows you to recline comfortably in the ease with stretching the legs on the pop-up footrest. This sofa will complete the vision of your elegant living room setting.